On the 20th August 2008, it was announced that Louise House, part of the Forest Hill Pools site, had been listed Grade II by English Heritage following a request for listing from an individual living in the local area. This means that the recent feasibility options for the new pools will need to be rethought and the process begun again. This was completely fresh news at the Public Meeting held at The Methodist Church , Normanton Street, on the 21st August and attended by over 200 Forest Hill residents. Louise House has been listed mainly because of its historical importance (as a Victorian Girls Industrial Home that took in girls suffering extreme poverty and trained them for work in Domestic Service) and the unaltered condition of the building. 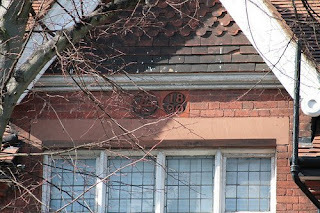 A number of these buildings were built in London but this is a rare surviving example. 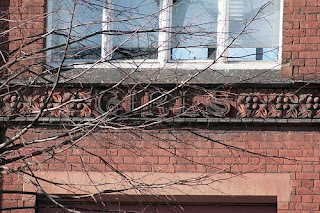 The listing also notes the importance of the building as a 'group' with the Library and the Pools Building, even though the Pools building itself has previously been considered and turned down for listing. The problem (or opportunity) this causes is that Louise House was included as part of the site for the New Pools/leisure complex recently consulted on by Lewisham Council. It means that the options that were on the table are no longer achievable in their current form and additional work will be needed to find out what it is possible to deliver on the site. When the Mayor announced in March that he was abandoning the original plan to refurbish the pools (intrusive surveys and discussions with potential developers persuaded him this was not feasible), he set a short timescale for delivering the pools (to be open by 2011) and this led to the 'rushed' production of feasibility options for the site and a public consultation during August, when unfortunately many people are away on holiday. The options presented to residents were 3 versions of the same scheme, with more or less housing, leisure uses and open space on the site. The preliminary results from the consultation were presented to a stakeholder meeting on the 27th August. The Council received around 600 replies to the consultation and views were fairly evenly split between the 3 options with about 10% of respondents choosing not to select any of the options. 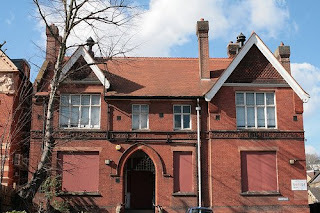 The FHS submitted a response (the highlights of which are included in this Newsletter) raising a number of concerns about the proposals but mostly supporting the need for a new pool facility in Forest Hill in the foreseeable future and seeking to ensure a high quality building is developed – possibly secured through a design competition. The public meeting on the 21st August was very lively and heard a wide range of views. It clearly demonstrated that the area does seem to be split on whether to try to keep parts of the existing Pools Building in the scheme or not. The main area of consensus seemed to be that we do want a new pool, that the consultation process had not been very good and that the 3 versions of the scheme proposed left a lot to be desired. The Listing of Louise House has helpfully given the Council a get-out from its previous 'options' and it was acknowledged that there is the opportunity for a significant rethink. Meanwhile, the Stakeholder Group continues to meet. It includes representatives from both the Forest Hill and Sydenham Societies, residents groups, swimming organisations and local schools. To clarify, the stakeholder group does not in any way set the agenda. Rather it is a forum for the council to present its plans and the group to make comments and seek information. However, it does mean that the Forest Hill Society gets the chance to have an input into the process as things move forward. 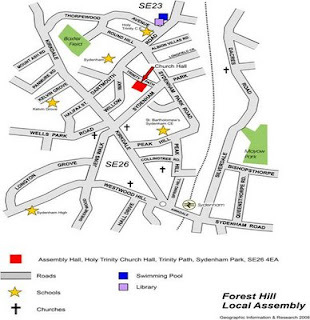 The Forest Hill Society members of the Stakeholder group are Hilary Satchwell and Penelope Jarrett. Both are keen swimmers as well as enthusiastic residents of Forest Hill and Hilary has particular experience of architecture and planning issues. One of the key issues now will be testing whether it is still possible to achieve the range of leisure/residential options on the site and what the new use should be for Louise House. If any members of the Society have any positive ideas for new uses for Louise House that may be able to attract funding and allow a small element of public access, we would be pleased to hear from you so we can feed these ideas into the process. The next step will be a meeting of Mayor and Cabinet on the 17th September 2008 when the Mayor will make recommendations for how the project should continue. If you have any particular comments on what you think should happen at the Pools please let Hilary or Penelope know (hilary@foresthillsociety.com or Penelope@foresthillsociety.com). This may well be my last chairman’s report for the Newsletter as I intend to resign from the position at our AGM on 15th October 2008. Please come along to the AGM and support or, better still, join the new committee. To encourage you to come along, we shall be having the AGM in The Hob public house and comedy club in the centre of Forest Hill. Unlike previous AGMs where we had guest speakers, we wanted this one to be an opportunity for people in Forest Hill to have a few drinks and meet the new committee. As this is my final report, I want to take a moment to reflect on the last two years since we first set up the Forest Hill Society. In this time, we have taken the Society from a small group of people sitting round a table in the Dartmouth Arms, to a real civic society with almost 500 members and a significant impact on local issues. We have proved our capabilities particularly with respect to the railways and were able to get some significant enhancements to rail planning over the next eight years. But more importantly, Forest Hill now feels more like a community again rather than a non-descript suburb of London (not that it was ever non-descript). As I step down from chairing the Society it is my hope that others will rise to the challenge of developing this community for the benefit of all local residents. I have chaired the Society for two years and we have some exciting times ahead. 2010 will see Honor Oak Park and Forest Hill being connected to the tube system as the East London Line finally makes it to SE23. We hope that we will see some improvements to the Horniman Gardens to improve this great public space. 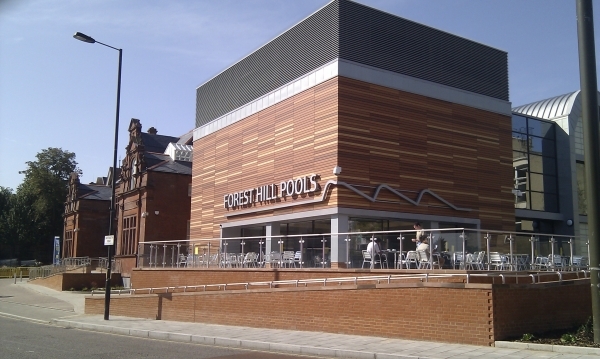 And, of course, we should see work progressing on bringing swimming facilities back to Forest Hill. But all of these projects require local people to get involved and make their voices heard. I hope that you will now consider what you can contribute to the Forest Hill Society and to your local community. Of course the chairman is not the only person in the Forest Hill Society and I would like to thank everybody who has supported the initiation and development of the Society; particularly the team of people who organise the events, the finances, chair subcommittees, write the minutes of meetings, publish the newsletter and distribute the newsletters, those who provide their expert analysis to a range of issues, and those that have simply offered their feedback – positive or negative - on the work of the Society. If you would like more information about joining the committee of the Forest Hill Society please contact me and I shall be delighted to give you more information. We have been invaded, but it is almost unnoticed by most of the people it is affecting. 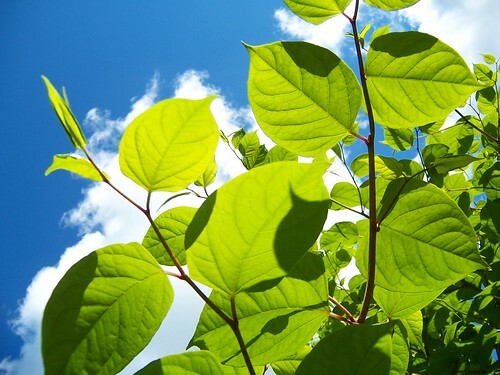 Japanese Knotweed is a bamboo-like plant that can grow to 2-3 metres tall, has broad leaves and spreads, and spreads, ... and spreads. For the record, it is not bamboo and it can be very damaging. The key problem it poses is that the roots and stalks are very strong, and the large leaves are slow to break down. Plants push up through pipes, concrete and around flagstones, breaking up the structures on the way and undermining foundations of walls as well as breaking pipes. Above ground, one plant keeps growing and spreading in a way that prevents other native plants from growing by reducing light and creating a layer that stops other seeds from getting established. Like many other invasive species, such as the Ringnecked Parakeet or the American Bullfrog, it was originally brought it for 'ornamental' reasons, in this case from Japan, without a thought for the potential effect. Now it affects pretty much all parts of the UK. In Forest Hill, the Japanese Knotweed plant can be found in many places, including in a large mass along the sides of the railway on Stanstead Road. You can also see how invasive it is on the pavements and drives on the corner of Devonshire Rd and Waldram Crescent - where it was potentially responsible for what seemed like a permanent and rather dangerous leak this winter. This plant spreads vegetatively, in other words it spreads from cuttings of the roots of other plants, and not by seed. It is, in fact, one single female plant that has spread along waterways, railway cuttings and spreading of soil waste. It takes only the tiniest fragment of root for it to regrow. That makes it very hard to eradicate as it is almost impossible to ensure you remove all root fragments. Treatment with glyphosate on the leaves of young plants has some effect; older plants might require an injection directly into the stem. Nonchemical treatments are being developed, but short of removing, and safely disposing of, many cubic metres of soil from your garden, it is probably not yet possible. Why should we care? Any invasive species threatens natural habitats and therefore native species. This one also threatens our property. 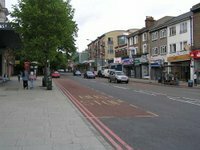 At the moment, the level of our problem here in SE23 is small, but it could potentially get much worse and public awareness is very important. We must all do our bit to help each other as plants in one garden can easily spread to neighbours' land. We also need to encourage the Council to deal with public areas. Paper on the initial design and feasibility work undertaken with respect to the redevelopment of Forest Hill Pools detailed in part 5 of this report; to inform the Mayor of the results of the community engagement and consultation detailed in part 6 of this report; to inform the Mayor of the listing of Louise House and its implications detailed in part 7 of this report; and to seek the Mayor’s approval to proceed with the proposed approach set out in part 8 of this report. This Appendix includes the full written responses to the consultation from the Forest Hill Wart Councillors, the Forest Hill Society, and the Sydenham Society. Michael Abrahams, chair of the Forest Hill Society, is quoted in the Mercury this week regarding the Forest Hill Central development on Perry Vale. You can read the article here. With regard to the timescales for the scheme, I believe we are about a month behind schedule. This has been due to excavating around old Victorian water mains. We have caused damage to the pipes on a number of occasions. Therefore we had to continue the work by hand, which is a very slow process on a scheme of such a size. Also, we have lost time due to extremely bad weather. We are now at a stage where we are constructing the carriageway. This is again causing difficulty as we are having to lay the materials by hand to ensure no damage is caused to the water mains below. I am hoping that the lower layers of carriageway will be constructed by the end of the week and then we will start on the construction of the new footways next week. Once all the kerbs have been installed we can then complete the construction of the carriageway, while at the same time laying paving slabs. Once the carriageway has been completed we can open the road and allow vehicles to once again drive along Perry Vale. If the footways have not been completed we will provide temporary traffic lights to enable pedestrians to walk safely within the carriageway. I am hoping that the works will be complete by the Friday 3rd October 2008. Contrary to some speculation Berkeley Homes are not responsible for the work being carried out and so the temporary suspension of work at Forest Hill Central will have little effect on the road works. Further work will be undertaken (hopefully later this year) on the underpass with funds already secured from Berkeley Homes. The 23 Club has now had three successful dinning experiences at local restaurants. 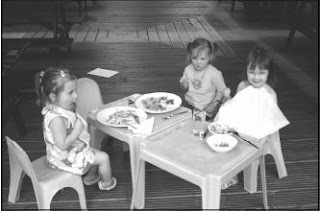 But we still have many more to munch our way through in SE23 so come and join us on Tuesday, 23rd September at 8pm, at Yune, 25 Dartmouth Road. To book your place contact the restaurant directly on 020 8699 0887. We are flattered that the Sydenham Society have picked up on this excellent way to support local restaurants and to give members a way to meet other local people. This month they will be starting Club 26 focusing on the restaurants of SE26, we wish them bon appétit!